Given that software keyboards are still buggy as hell, I’ve really had the chance to put the Logitech Ultrathin to use full time, and the conclusion in my iPad Ultrathin review still holds true for me. The battery has never died on me, and I only remember having charged it once in the last eight weeks. The rubber feet are still sticking nicely to the bottom of the case, which is a good sign of overall durability. There’s really no downside to using this particular case with my Air 2, even though it’s technically designed for the original iPad Air. Most of all, the keys are still a delight to use. They’re springy, responsive, and very comfortable in continued use. The only thing I still want changed at this point would be a sort of auto-wake switch in the form of a pressure sensor or a magnet. 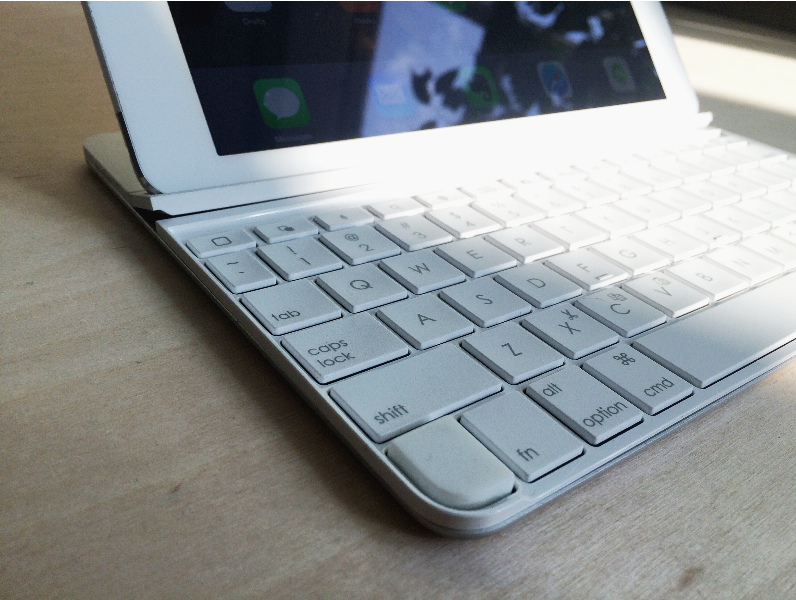 Credit really goes to Belkin for inclusion of that feature in many of their keyboard cases, and it has me hooked. Undocking the iPad from the keyboard and having Bluetooth automatically disconnect just feels like magic. It’s a great piece of smart design that makes the keyboard work for me, instead of forcing me to conform to the keyboard. If Logitech could add that feature to the next version of the Ultrathin, I think this would be a real 10/10 design.